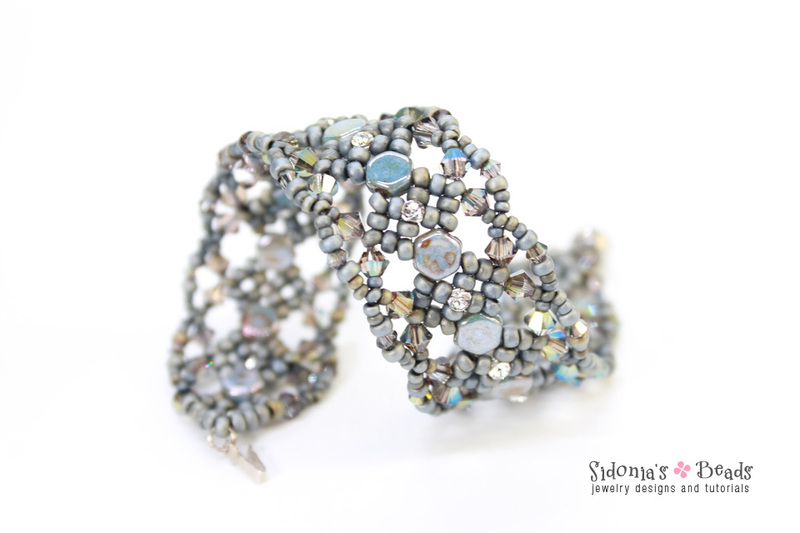 Tutorial for bracelet made with 2 holes cabochons. 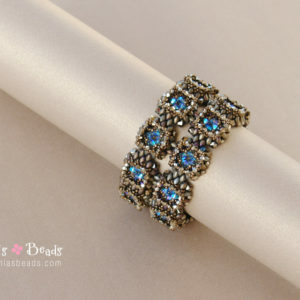 Beading tutorial for bracelet made with 6mm 2 hole cabochon. 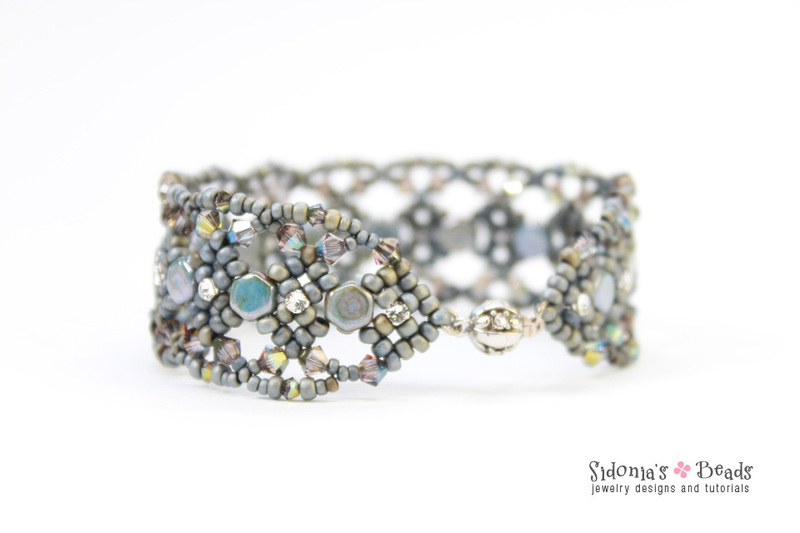 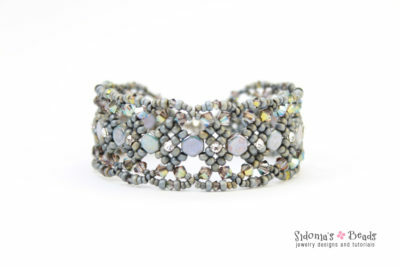 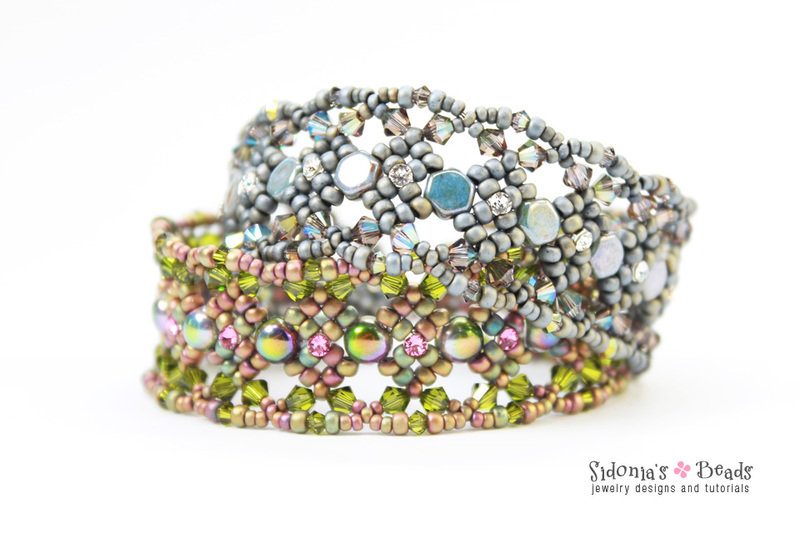 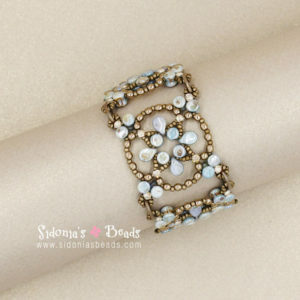 This easy to make bracelet is made with 6mm 2 hole cabochons, seed beads and crystal mesh. 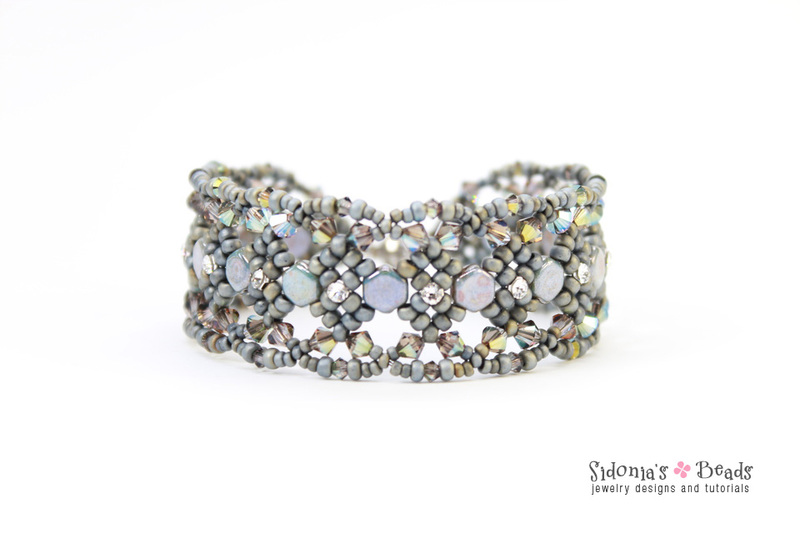 Project level suitable for advanced beginning beaders and on. 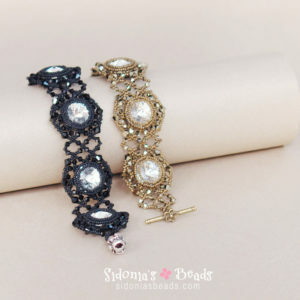 The instructions are clear and easy to follow. The bracelet in this pattern is about 6.7 inches (17cm) long, without the jump rings and the clasp.